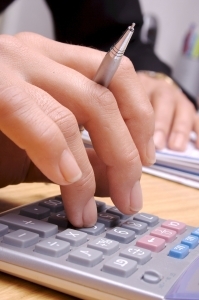 Proper tax planning is the key to successfully and legally reducing your tax liability. Stolberg, Ebbeling & Blanchette, LLP goes above and beyond by continually looking for ways to minimize your taxes all year-round and by recommending tax saving strategies to maximize your after-tax income. We recommend tax saving strategies that keep Uncle Sam out of your pocket and help you to reduce taxes on your income, estate, investments and retirement funds. Split income among several family members or legal entities so that more of the income is taxed in the lower bracket. Shift income or expenses from one year to another so they will be taxed at a lower rate. Defer tax liabilities through certain investment choices, including pension plans and contributions. Use certain investments to produce income that is tax exempt on both a federal and state level. Find tax deductions by structuring your money to pay for the things you enjoy, like a vacation home. We ensure that the businesses and individuals we serve pay the lowest amount of taxes allowed by law. We work for you, not the IRS! Many of our clients save tax dollars through careful planning and legitimate tax strategies.